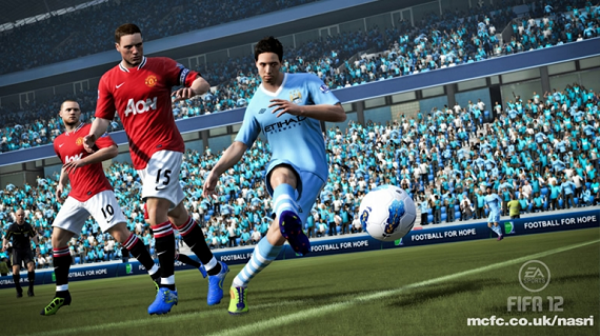 For some reason unbeknownst to almost everybody, City have had their corporate buddies over at EA Sports mock up an image of Samir Nasri ‘scoring his first City goal’ against – yep, you guessed it – Manchester United. I’m sorry boys, but you can’t count that. You just can’t. It’s not fair. Brings to mind a poor, delusional chap that I played alongside at U18s level who, in a lame attempt to boost his Nottingham Victoria League Opta stats, included goals he scored in training in his end-of-season tally. That didn’t work either. Desperation will do terrible things to a man. But he does wear blue suede shoes. @Paul. Hideous as a person why? Because he chose to double his wages? How dare he. @Paul, look at the bookies odds, and then come back and say Nasri hasn’t upgraded his chances of actually winning something as well as his pocket money. Upwardly mobile city, or currently go-no-where arsenal? @Tinez. Very fair comment City are in for a real chance of winning silverware in all the competitions they are in, it is whether Nasri enjoys the beautiful money more than the beautiful game as i personally feel that City were already covered in all-midfield positions and that there were better acquisitions than him that were sitting on the bench week-in week-out (for a player who had a good half season). This fixture is scheduled for 28th April 2012, if I was a Man City fan I’d be pretty pissed off if this was his first goal for the club. Didn’t think he could look worse in the game. 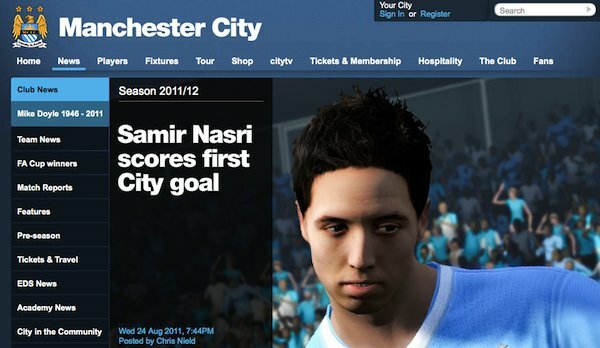 Citys Website is a total joke. Remember the ‘guide to new city fans’ article they had last year?